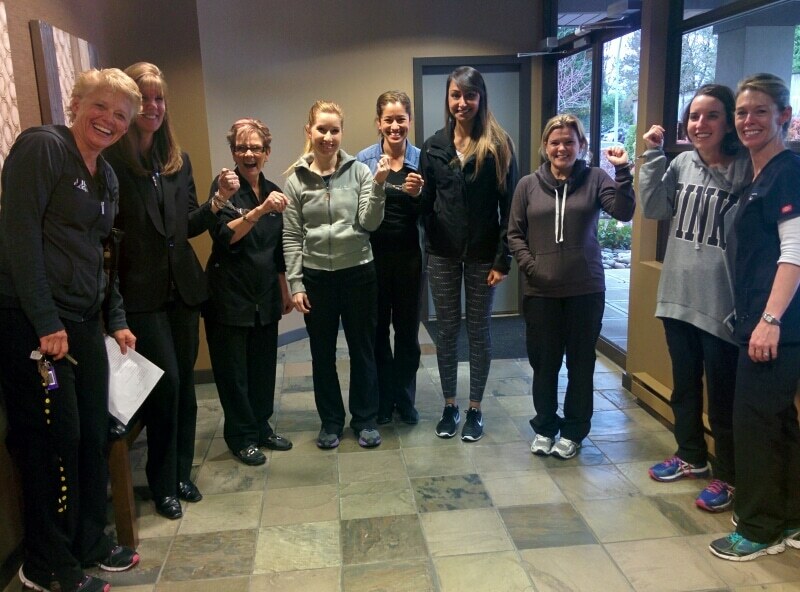 At NOVO Dental Centre, our team enjoys being active in supporting our Abbotsford Community in addition to assisting our dental family achieve their desired smiles! Dr. Provo is always ready to provide toothbrushes, toothpaste and floss to charitable organizations who request our help, whether it be local organizations such as the Straiton Community Club Annual Easter Egg Hunt, Feast in the Park to raise awareness of the homelessness in our community or to those travelling abroad for missionary work! 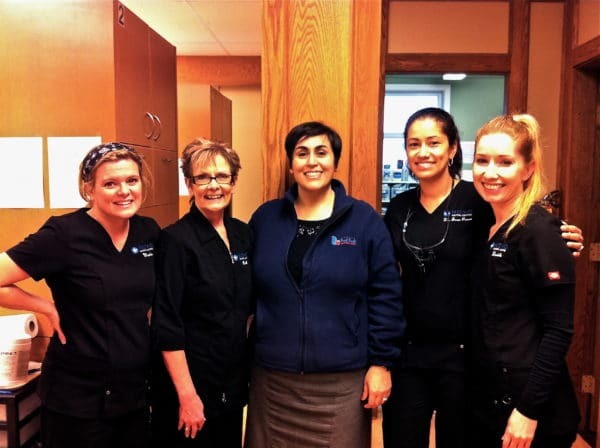 Aware of the challenges some local families experience, Dr. Provo and members of her team are privileged to volunteer throughout the year at the Abbotsford Foodbank Dental Clinic to help Lala, the clinic coordinator, restore smiles for some very grateful people! 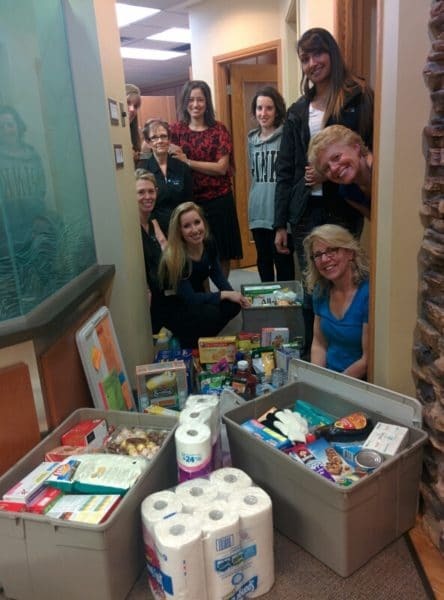 As well, Team NOVO provides ongoing support to the Foodbank with food and monetary donations. Further team involvement includes fund raising and participation in local events such as the “Gutsy Walk” and this year the “Run for Water”! Having grown up playing team sports such as basketball Dr. Provo personally understands the struggles local teams face. Bearing this in mind NOVO Dental Centre is also a community corporate sponsor for local sports teams such as the Thunder 99A Girls Fast pitch baseball team!! !